MBChB (1983 Glasgow), MRCGP (1988). ALS Provider (2010). On Obstetrics List, on Minor Surgery List. 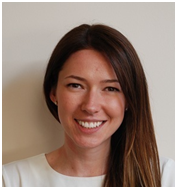 Dr McLachlan has been Principal GP Registrar Educational Supervisor in our Practice for more than 10 years. As a senior GP in the area, Dr McLachlan is Locality Clinical Director for Lomond. He has an appointment with NHS Education for Scotland as an Associate Adviser for Continuing Professional Development. He is GP IM&T lead for Lomond and Argyll Community Health Partnership. Dr McLachlan has provided a key role in developing the enhanced role of Integrated Care GPs who are a key element of the Vale Vision. This has given our Local Vale of Leven Hospital a sustainable future for acute medical admissions and enhanced outpatient services. * Dr McLachlan works alternate Thursday morning and Friday afternoons. Dr McLachlan delivers Registrar tutorials and works Out of Hours at the Vale of Leven and Dunoon. Practice consulting times will alter to accommodate these other roles. MBChB (1986 Glasgow), DRCOG (1990), MRCGP (1990). Family Planning Certificate (1991). On Obstetrics List. On Minor Surgery List. On Child Health Surveillance List. MBChB (1994 Glasgow), Fellow of the Royal College of Anaesthetists(2000), MRCGP (2003), ALS Instructor. On Minor Surgery List. On Child Health Surveillance List. Dr Dunn is an Educational Supervisor for GP Registrars in our Practice. He has an appointment with NHS Education for Scotland as Training Programme Director for General Practice Vocational Training within Dumbarton & Argyll. He is Course Director for EPASS Educational Meetings for local Consultants and GPs, which occur fortnightly at the Vale of Leven Hospital. Dr Dunn is Lead Clinician for Integrated Care at the Vale of Leven Hospital, having played a key role in shaping the Vision for the Vale, which gives a sustainable future to in-patient and out-patient services at the Vale of Leven Hospital. He is GP Cluster Lead for Helensburgh and Lochside Practices. His enthusiasm for GP also spills over into his contributions for BBC Radio Scotland and the local Community Advertiser. Dr Dunn was born in the Vale of Leven Hospital and schooled in Dumbarton. He commits personal time to the local community via his role as Honorary Medical Director for the Loch Lomond Lifeboat, and providing Basic Life Support training to local Practices. Dr Dunn delivers Registrar tutorials and works Out of Hours at the Vale of Leven and Dunoon. Practice consulting times will alter to accommodate these other roles. Dr Ferns joined the Practice as Partner in 2013. Dr Ferns also works as an Integrated Care GP at the Vale of Leven. Dr Mooney joined the Practice as Partner in 2016. Dr Mooney comes from Belfast and studied at the University of Glasgow. Dr Mooney also works as an Integrated Care GP at the Vale of Leven. Dr McLachlan and Partners is an approved training practice, which means a doctor who has at least 3 years hospital training spends 18 months in total with us learning about general practice. At any one time there will be between one and three Registrars working alongside the Partners. They will be supervised when in the practice by their Trainer, who is one of the GP Partners. To assist in their training they will need to video some of their consultations. This is only for use within the practice and patients are free to decline if they feel uncomforable with this. This will not affect the consultation. Also on occasions the Registrar will sit in on a GP Partner's consultations. This can provide valuable learning opportunites. If the Registrar is sitting in with your chosen GP patients will be advised of this when booking the appointment. Should patients not wish him/her to be present then this will in no way affect your consultation. We may also ask you to complete a Feedback Questionnaire on the Registrar at specific times during their training. May we take this opportunity to thank you in advance for your cooperation in helping train the new GPs of the future. BA in Community Health Nursing (General Practice Nursing) with Specialist Practice, RGN, RM, RCGP Dip Asthma Care, Family Planning Certificate, Extended Independent & Supplementary Nurse Prescriber. Moira is a prescribing nurse who consults on Mondays, Tuesdays and Thursdays. BSc (Hons) Nursing Studies, RGN, RM, Asthma Dip Family Planning Certificate, Dip of Advanced Nurse Practice, Extended Independent & Supplementary Nurse Prescriber. Jane is a prescribing nurse who consults on Tuesdays, Wednesdays, Thursdays and Friday afternoons. Sarah consults on Monday, Tuesday, Wednesday, Friday and Thursday mornings. Carol is our Treatment Room Nurse and consults Monday, Tuesday, Thursday and Friday mornings and Wednesday afternoons. Carol is on maternity leave at the moment. Leeanne our Phlebotomist carries out blood tests, vitamin B12 injections and some vaccinations and works closely with our Practice Nurses. Leeanne consults Monday to Friday 9.30am-2.30pm. Elaine our Health Care Assistant carries out blood tests, vitamin B12 injections and some vaccinations and works closely with our Practice Nurses. Elaine consults on Thursday mornings. 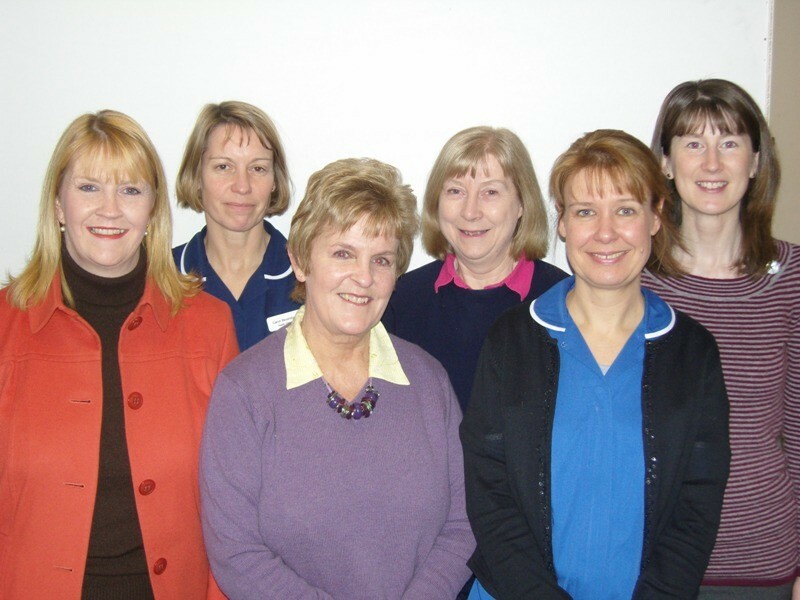 The administration team is led by our Practice Manager, Mrs Margaret Hall, who joined the practice in 1993. Mrs Hall is responsible for the overall day-to-day management of the practice and welcomes any comments and suggestions on the efficiency of the practice. She is supported by Mrs Tracey Galliers, who is Deputy Manager. The administration team is made up of full-time and part-time members of staff. They are a dedicated team who work closely with all practice team members. They provide invaluable administrative assistance to the clinical team and are here to provide an efficient and helpful service to our patients. The Receptionists are your first point of contact for general enquiries, prescription enquiries and can direct you to the right person, depending on your health issue. All staff members are bound by a strict code of confidentiality. The District Nurses are core members of the primary health care team and liaise directly with all community care agencies. Health care assessment, health advice, diabetic care, terminal care, bereavement visiting and incontinence promotion, together with wound care, are just a few of the wide range of services provided. 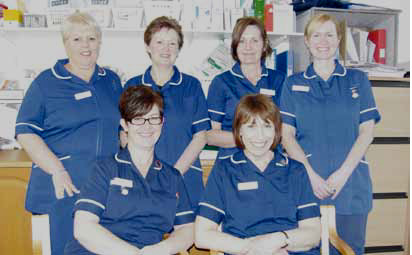 District Nurses are available from 8.30 a.m. - 4.30 p.m., seven days a week (Tel. 01436-655026). The evening nursing service works from 7-11 p.m. and provides care as directed by the day service, when it is required (Tel. 01389-710278). The Health Visitors are registered nurses with a special interest in family health, public health and health promotion. They offer support with any issues which may affect the physical or emotional wellbeing of individuals or families at any age. Their work with the under fives and families includes all aspects of child health and development; parenting, including management of feeding, sleep or behaviour problems; management and support of lifestyle stresses including depression. Health Visitors carry out health needs assessments for the elderly, offering advice and on-going support as required. They work closely with the social work department and other statutory and voluntary organisations. In addition they collaborate with local nurseries, schools and youth groups and attend many public functions where they promote the benefits of a healthy lifestyle. The Health Visitors also run a variety of clinics and support groups including smoking cessation, weight management, continence promotion and enuresis (bedwetting). Should you wish to speak to a Health Visitor, they can be contacted on Tel. 01436-655145. If they are unable to take your call please leave the appropriate details on their answering machine to receive a return call back. The community midwives provide individualised care to women during pregnancy and childbirth. They will liaise between the primary health care team and the hospital obstetric team, in planning and implementing care. Telephone no: 01389 754121, Ext 27275.